Come out and join us for our 2nd Annual Car Show. If it rains on May 11th, backup date is May 25th. 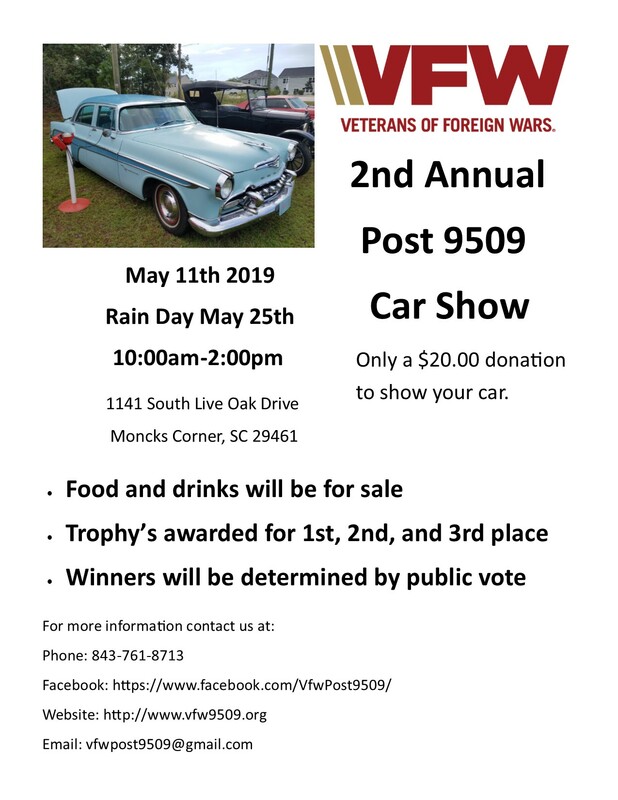 There is a $20.00 donation to show your car. Trophies will be given out for 1st, 2nd, and 3rd place. See flyer for more details.